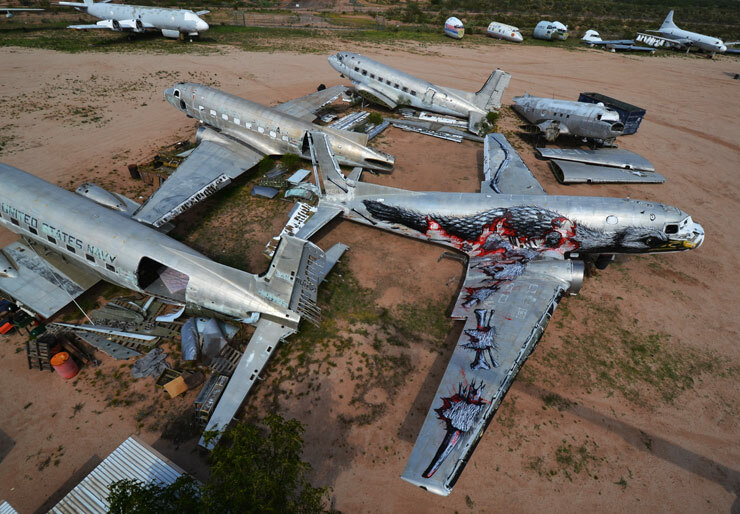 Here are some new shots of the planes in the boneyard in Arizona and of ROA’s contribution to the project, exclusively for BSA readers. 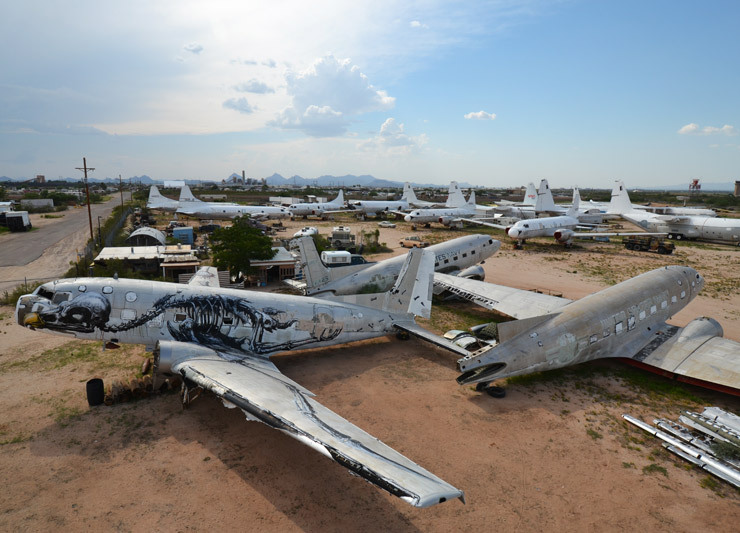 In the Tucson desert over the summer when the temperatures are at their highest, it’s really almost impossible to get work done during the daytime. 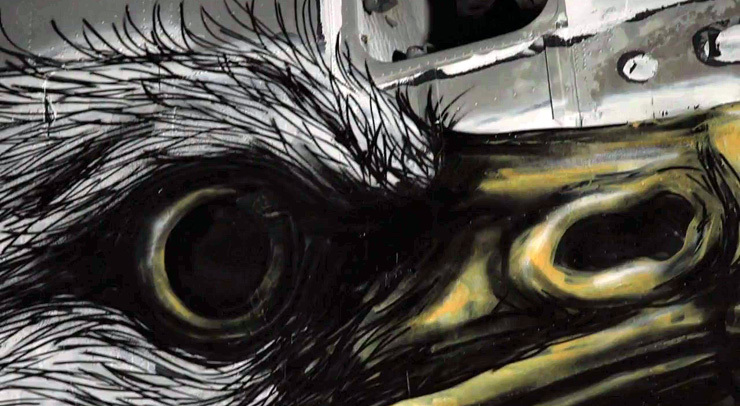 Maybe that’s why ROA painting at night is what gives the video at the end of the post by Jason Wawro such an eerie clandestine quality, and makes the very act of painting seem illicit. 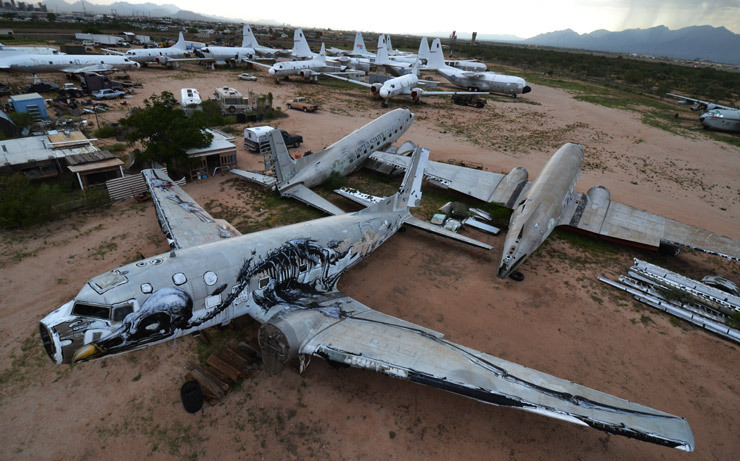 Also, calling it a boneyard helps. 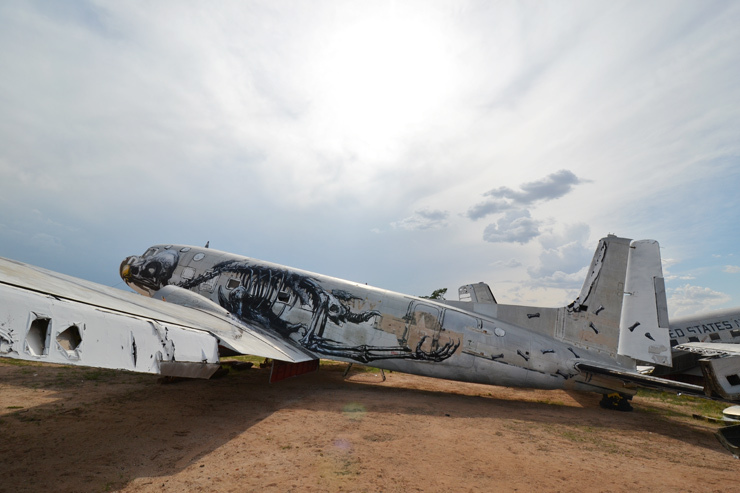 ROA is the latest in this ever growing project by Eric Firestone and he follows some other names you will recognize like Retna, How & Nosm, and Faile. Stay tuned for more! 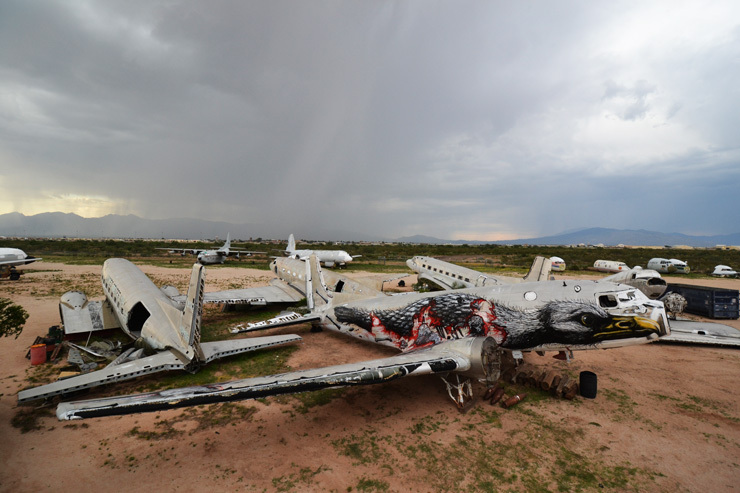 Video made by Jason Wawro from the Boneyard Project. Special thanks to Eric Firestone.